In last month’s blog, we talked about three Fall dishes that inspired us to experiment, try new techniques, and up the ante in how we create food. We do this best by connecting experiences and stories to our dishes, staying true to who we are in the food industry, and using local ingredients to support our community. This month, we’re walking you through these same three dishes, but this time, we're offering you suggested appetizers, desserts, and wine pairings, to hopefully set you up with your own stories and memories to share. 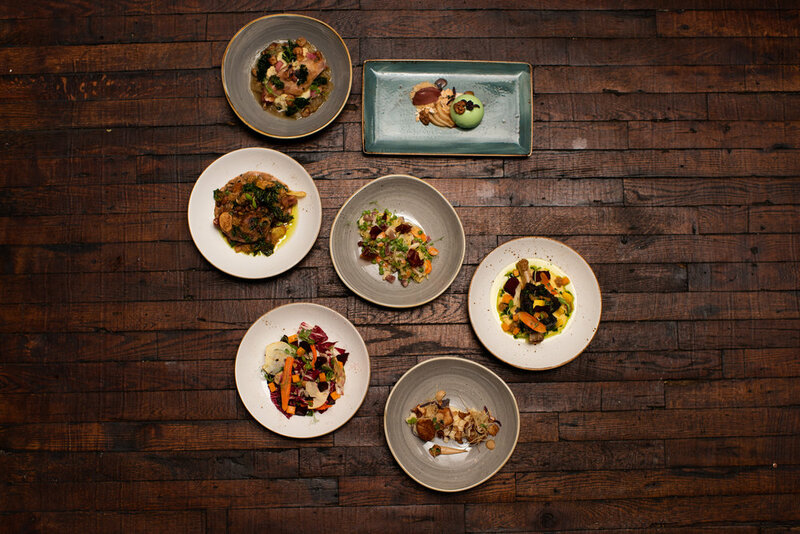 Get to know our menu and our techniques so you can experience food at its fullest at Oliver Royale. The next time you’re here, have this blog handy and take your taste buds on an adventure. Whether it’s with friends, family, or yourself, we invite you to explore our dishes in a way that’s not just about taste, but about the experience. We’ll see you here! Psst...the holiday season is approaching! Check out our upcoming events and make your reservations!